Safety banner ideas for you facility often come from safety banners you see online or at other facilities in your company. 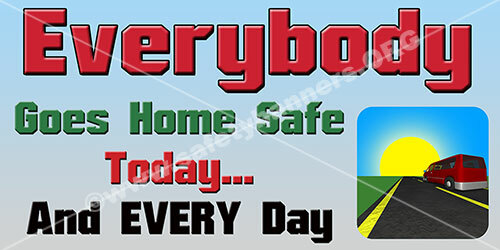 At SafetyBanners.Org we have over 600 safety banner ideas grouped into 30 different idea categories. Remember, we do custom safety banner design so you can get safety banner ideas your safety banner ideas from our banners online then have us do a custom safety banner design just for you. 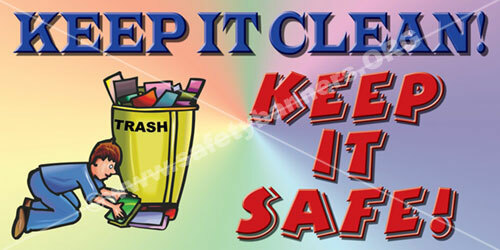 You can have your Safety Banners Ideas attract attention to your safety campaign. Safety Banners enhance a positive workplace safety atmosphere, reinforce safety goals and help promote awareness and establish a safety in important message throughout your facility. 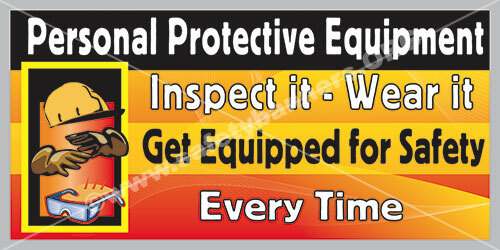 Safety Banners are available from SafetyBanners.Org in hundreds of designs to fit your every need. We offer both horizontal and vertical safety banners as well as mesh fence banners designed specifically for you fence line. SafetyBanners.Org's large choice almost guarantees that you can find the appropriate Safety Banner to fit in any location. Choose a theme or design from our huge selection of banners and posters. Or, get a safety banner idea by what you see and contact us with a custom safety banner design request. All our products can be customized with your logo, company name, colors, specific images, or unique safety message. Enhance the safety potential of your facility and your workforce with Safety Banners from SafetyBanners.Org. Call us for your custom safety banner design - 901-759-0932.